Dr. Giles Damron values the comprehensive health and appearance of your smile and caters each aspect of his care to promoting the improvement of both. Given the important role properly aligned teeth play in cosmetic appeal and overall wellness, Dr. Damron provides traditional braces, multi-phasal treatment, and Invisalign® to create and maintain a healthy bite. Damron Dental Care offers orthodontic solutions to serve the dental needs of patients in Bartlett, Cordova, Lakeland, and the surrounding communities. Also known as malocclusion, misaligned teeth can occur due to a number of factors, including genetics, childhood habits like thumb sucking, and tooth loss. While the severity and exact positioning of a poor bite can vary, there is an impact on the dental appearance and function of each patient affected by this condition. Even in minor cases, patients may feel the improper alignment of their teeth is preventing them from having confidence in their smile. In moderate or more severe instances of malocclusion, an underbite, overbite, or crossbite can make it difficult to keep proper hygiene, as it becomes harder to reach and clean the spaces between teeth. At this point, issues with speaking clearly or chewing may also arise. For these reasons and more, straighter teeth often result in a healthier, more attractive smile. At our Bartlett practice, Dr. Damron provides treatment options to help patients of all ages gain the benefits of improved orthodontic health. In keeping with his focus on patient-centered care, our dentist makes recommendations based on each patient’s individual oral health needs and long-term cosmetic goals. When it comes to receiving orthodontic treatment, some patients consider convenience as valuable as cosmetic improvement. For patients with mild to moderate alignment issues, Damron Dental Care offers Invisalign®. This system uses custom-fit aligner trays to gently reposition teeth. Over the course of treatment, Dr. Damron will review your progress at two-week intervals and supply sets of trays adapted to your changing bite. 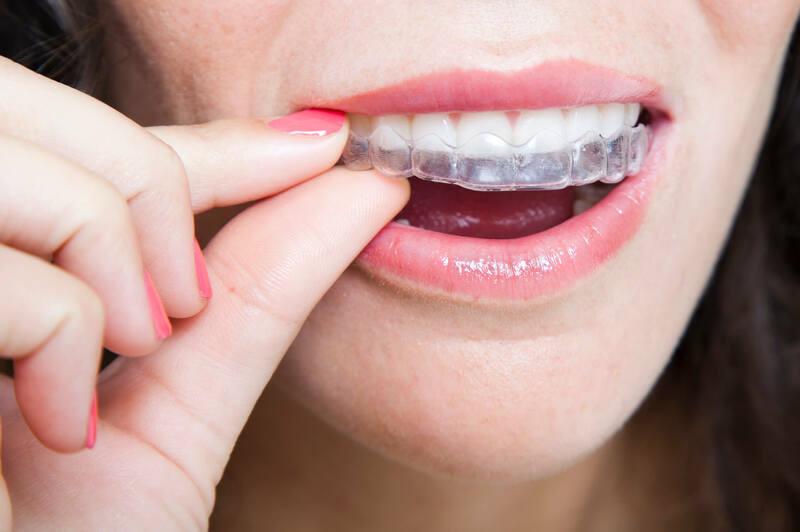 The primary advantage of the Invisalign® system are the clear aligners used, making for a treatment that grants patients the benefits of a corrected bite while being nearly unnoticeable. Additionally, these aligners can be removed to enjoy a meal or keep your oral hygiene routine. As long as you follow Dr. Damron’s care instructions and remember to wear your Invisalign® trays for at least 22 hours a day, you can achieve noticeable results without dramatically altering your lifestyle. In addition to offering Invisalign®, Dr. Damron provides traditional braces. A proven option known for its long-lasting results, these braces work through metal brackets and wires that apply a gradual, consistent force to guide teeth into an appropriate position. This treatment is effective for teenagers as well as adults and can be recommended to address a variety of malocclusion cases. Once it is time for the braces to be removed, Dr. Damron will provide a retainer to maintain the improvements made through treatment. Our dentist will also evaluate bite positioning at follow-up visits to make sure there are no signs of relapse. Dr. Damron is committed to providing patients in Bartlett and nearby areas throughout Shelby County with the aesthetic and overall health benefits of a straighter smile. For more information about the orthodontic services our practice offers, call Damron Dental Care and schedule an appointment today!